A group of National Union of Mineworkers members outside the South Shaft entrance at South Deep where they had barricaded the entrance with rocks, logs and branches. 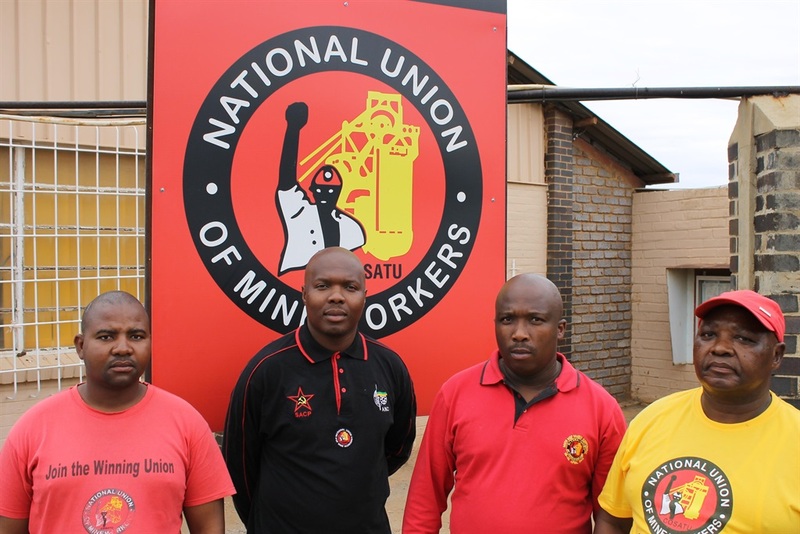 The National Union of Mineworkers (NUM) and South Deep gold mine’s management have taken hardline, opposing positions with regard to retrenchments at the operation, situated in Gauteng. 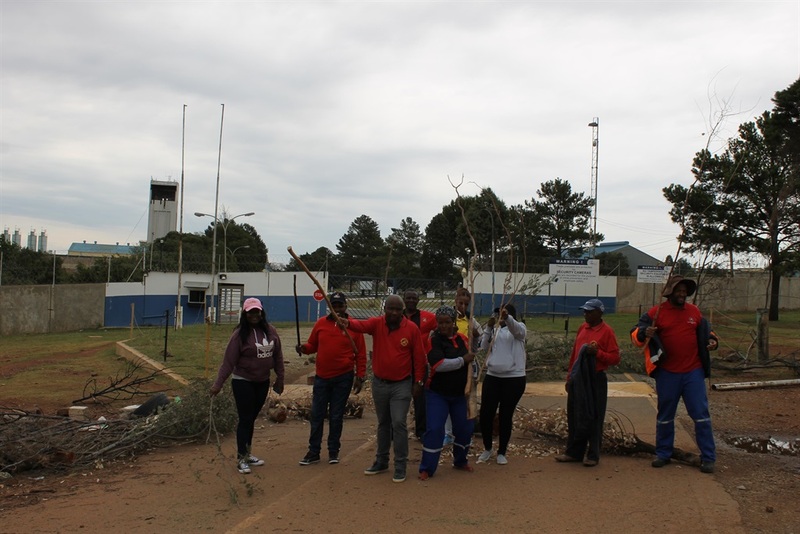 Representatives of NUM had warned that should retrenchments be effected, it would embark on strike action – and did so, starting from November 2, after retrenchment letters were sent to more than 1 000 staff members on October 31. South Deep management last week reiterated that the 1 082 permanent job cuts and 420 contractor cuts it had implemented were final. The union has retaliated by hardening its position on the potential length of the strike action, which is now into its fifth week. Thulani Mashibini, NUM’s South Deep branch secretary, told City Press during an interview that the strike could last until Easter next year. Easter Sunday, which falls on April 21, is more than four months away. “We will strike until Easter – we are going nowhere,” one of the striking workers repeated to City Press during a visit to the mine last week. After the strike started, Mashibini had told City Press that the union could strike for “two months or more, depending on the company”. A more than five-month strike would be the longest in South Africa’s mining history. The longest mining strike on record took place in the North West in 2014. It was initiated by NUM’s rival, the Association of Mineworkers and Construction Union (Amcu), and lasted for five months, from January 23 to June 23. This is when mine workers at South Africa’s major platinum producers – Anglo American Platinum, Impala Platinum and Lonmin – downed tools, demanding that their wages be doubled. Nick Holland, CEO of Gold Fields, which owns the loss-making South Deep, told City Press last week that if members of the NUM did strike until Easter 2019 or “an extended period of time, we may have to contemplate additional layoffs”. “To go through months and months without pay is going to cause very significant, irreparable harm for them,” he said. “We could have had much higher numbers of redundancies, but we tried to limit them to the minimum that we had to do – we don’t want this to trigger more [job cuts] in time. NUM branch secretary at South Deep Thulani Mashibini, wearing the black shirit, with other NUM members on strike at the South Deep mine. On Friday, the Gold Fields website estimated the loss of earnings by mine employees since the start of the strike at R78 million, based on certain assumptions, while the mine has lost R250 million in revenue during the same period. “We are sitting in a standoff situation,” Holland said. Gerrit Lotz, South Deep’s head of human resources, estimated the cost of the retrenchments at between R150 million and R180 million. Holland said the company had sweetened its offer by between R30 million and R40 million in a bid to end the strike, but the offer expired at 5pm on Friday. Mashibini said, after the expiry of the offer, that it had been rejected as the union wanted a reduction in the number of retrenchments. On Friday, the union staged a picket outside Gold Fields’ head office in Sandton. “The picket went well - we are happy with the turnover,” Mashibini said. NUM’s Mashibini contended that these retrenchments were part of a bigger plan to close South Deep mine. He said this was made clear by the fact that the operation was, in effect, closing down its South Shaft, moving its efforts to the mine’s Twin Shaft and reducing the number of working areas. However, Holland denied this, saying the restructuring and job cuts at South Deep were “not at all to close the mine – this is to resuscitate a more profitable operation”. “We have shut down some lower-grade areas – a large footprint in the older, shallower part of the mine [in the South Shaft area],” he said. “It is a big footprint of very scattered [areas], which are lower grade and require significant support from an engineering prospective, and it loses money. The Twin Shaft complex at the South Deep gold mine. Holland said that once the restructuring at South Deep was complete and the strike was over, the aim at South Deep would be to “get back to breakeven and build a production base”. Mashibini also accused Gold Fields of acting in “bad faith” during the restructuring. Gold Fields has invested R32 billion, including the acquisition price of R22 billion, in South Deep since acquiring the mine in 2006. City Press visited South Deep last week and found it to be shut and largely abandoned. The only activity taking place was along the mine’s perimeter, which consists of the South Shaft and Twin Shaft, where groups of NUM members were picketing at three specific points. One group, located outside the South Shaft entrance, had barricaded the gate with rocks, logs and branches; a second group had congregated on the road to the Twin Shaft, while a third group was situated at the junction where the road turns off to the Twin Shaft. 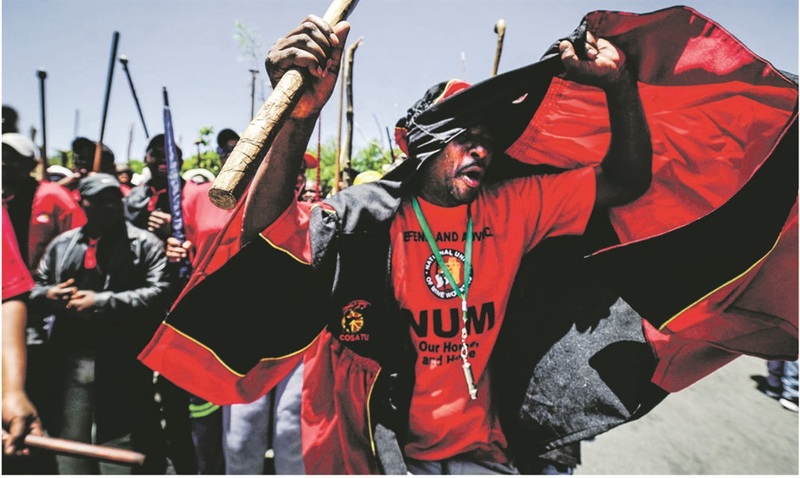 NUM representatives said they were manning these three points in eight-hour shifts, 24/7 – which is how the mine usually operates. Three police vehicles were spotted at the turnoff to the Twin Shaft, stopping the striking workers from entering that part of the mine. City Press also saw armoured vehicles that were being used by the mine to move around a small band of workers doing key work there. 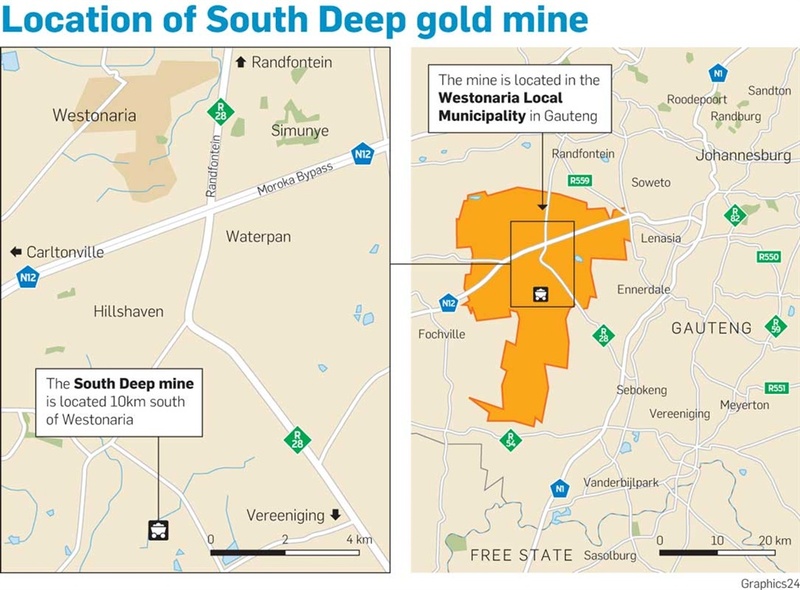 The town that is feeling the full effects of the South Deep strike and retrenchments is Westonaria, located 10km from the mine and 50km west of Johannesburg. 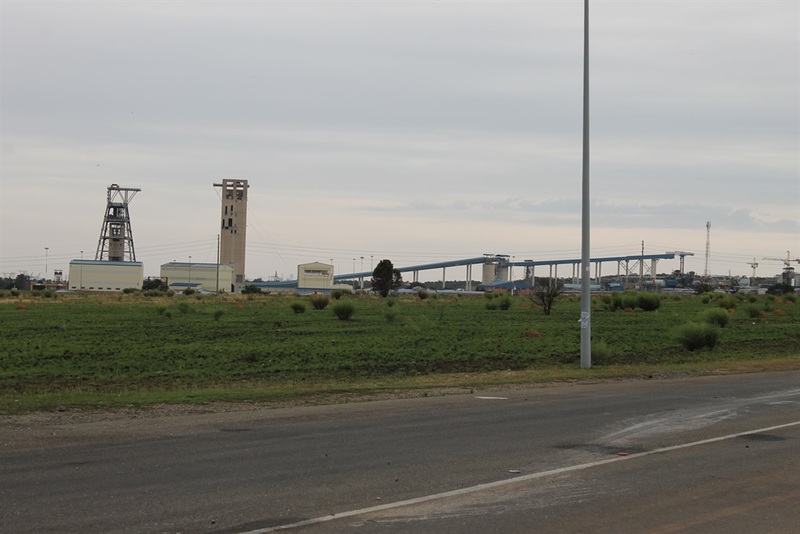 Adding to the town’s woes is that last year, Sibanye-Stillwater shut underground mining at the nearby Cooke 1, 2 and 3 shafts resulting in hundreds of jobs being lost. At present, Amcu members are striking at a number of Sibanye’s gold mines in the area. In its 2011 population survey, Stats SA said the town’s population was 10 259 and the Westonaria Local Municipality’s population was 111 767. The gold mining industry represents the major employment sector for both the town and the municipality. In Westonaria, local retail shops, fast-food outlets, petrol stations and cellphone stores are all feeling the strain of lost income because of the strike and the retrenchments at South Deep. The Westonaria Shoprite and the local butchery have also experienced a reduction in customers. Salespeople at one major cellphone company said the strike and retrenchments had resulted in their being well behind target. “It’s bad,” they said. A salesperson at another major cellphone company’s sales office said sales were down 75% in November from October, adding that a number of people had come to cancel their contracts after being retrenched. A representative of a local bottle store said: “The kak is coming” – because the real pain for South Deep’s striking workers would be felt in December and beyond. Dan Booysen, owner of the Pick n Pay franchise in Westonaria, said the effects on his shop could be “huge” – the store employs 86 people. Booysen said people were buying only necessities and cutting back on luxuries. He expressed the added concern that the strike could see Pick n Pay lose 35% of its monthly turnover. “It is serious,” he said. Sources at the major banks in Westonaria said the South Deep retrenchments and strike would be felt acutely after about three months, as people started to default on vehicle loans and mortgage bonds. Shirax Thokan, a partner in Westonaria’s Zenex petrol station, said it was clear that consumers were holding back because of the strike and the concomitant tough economic conditions. “Business is a real challenge,” he said. Sources at the local Shell garage also indicated that business had fallen sharply since the strike. A source at Westonaria’s KFC outlet said the strike meant that it was missing its daily targets.